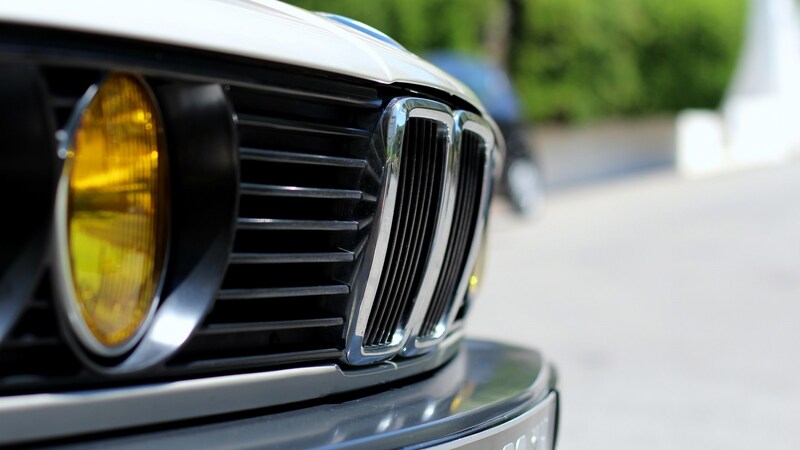 ► BMW's golden age of styling? It was when I first saw pictures of the BMW 7-series that it hit me. Munich’s styling department has lost its way. The new 2019 7-series, which appears to be eating its own face shouldn’t have surprised me, as the iNext and X7 SUVs already introduced us to the super-massive grilles – but even the new 3-series looks a little overdone. To my eyes, the front is a hodge-podge of grilles, extra-complex headlights and faux-intakes: from the back, well, it’s a Lexus IS. The pinnacle of BMW design came with the E30. Even if it’s arguably a modern classic, we’re going to leave the i8 out of this. Back to the 1980’s, and the E30, then. 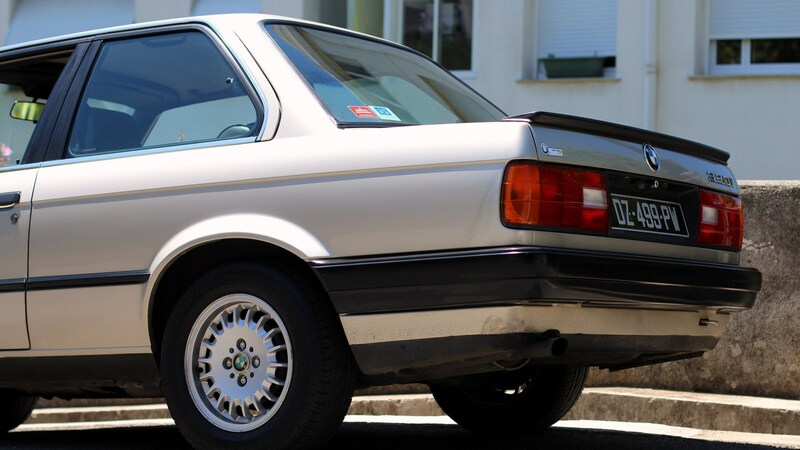 Produced from 1982 to 1994, the second generation 3-series came in coupe, four-door, convertible and later Touring flavours in 1987 – providing a comprehensive range at the time. From sharp, utilitarian lines to much-hallowed driving dynamics, it’s a car that – in 2019 – seems to ooze effortless cool three decades later, whichever model you go for. Some background: I’ve recently been on the not very-urgent-lookout for an untampered E30 Touring. So when – at the GT Sport final – I was offered the chance to drive a left-hand drive 1989 320i saloon in the Alps above Monte Carlo, I had to grab the keys. Tiny tin box, or design classic? 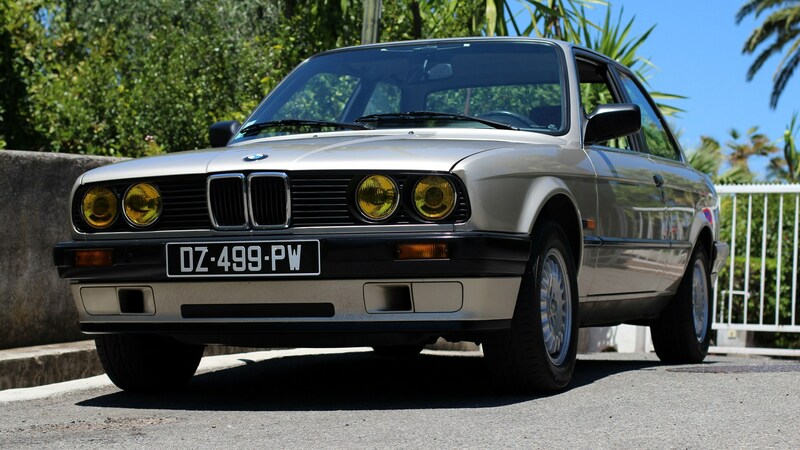 We’re all aware of how the E30 looks, but in the unrusted, Champagne-hued, mint mental, it’s even better. It’s function seasoned with style; no fussy lines that finish nowhere, and thanks to minimal safety requirements, it’s tiny too. It’s not a tiny tin box though. From the front, striking twin-headlights modernise the good bits of the E21 that came before, but make do without the extra glass cocoon of the E36. At the rear, the Hofmeister kink leads to a gesture of a black spoiler, and not a huge one either. Enough to hint at performance, but not enough to go on about it. The exhausts that come out the car aren’t wrapped in a tip twelve times the size, either. The E30’s cabin is oddly familiar but alien; another mark of young-timers like this. The 1989 320i I’m driving was high-end for its time, and that means amongst amongst the analogue dials, and switchgear shiny with use, there’s also electric front windows and what appears to be a trip computer. The only touchscreen here is on the iPhone XS Max in my pocket, and that’s totally fine. The steering wheel is a far cry from the girthy, baguette wheels you get in modern BMWs. It feels huge but it’s thin-rimmed and completely barren of hand controls or buttons – they show up about twenty years later. Slide in the knackered key – the least pristine part of the entire operation – twist, and then hear that straight-six come to life. Lively and raw but with a sheen of sophistication, it’s a young-timer soundtrack that stays with you as you move up the E30’s tall ‘box. And its five-speed gearbox hasn’t aged badly at all. Work your way through the cogs fast and early, and you can be smooth and economical – but hold those gears for a little longer and the engine shows its teeth. This thing can move more than you’d expect, and the hydraulic-assisted steering is direct and predictable enough to place the car where you want to – save for a uncertain patch in the middle. 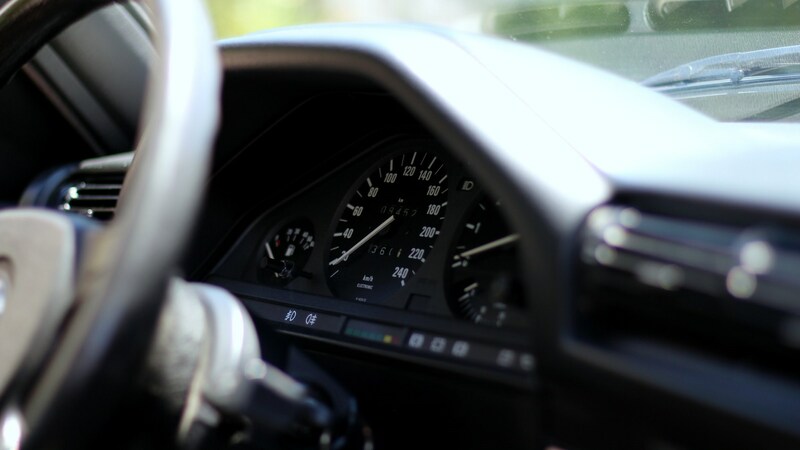 Keep those gears in ‘til the last few hundred revs, pick a conservative braking point, blip the gas, add some steering angle, and wait for the E30 to do to rest – and it genuinely does most of the time. It’s just those 80s brakes (discs at the front and drums at the rear) that you need to account for. After a little while, those handling myths of the E30 are proven to be fact; this really was, and still is an awesome drivers’ car. And the best bit? The BMW dances on twisty mountain roads like these, but in the Monegasque traffic, it’s almost mundane, less fuss than the classic Alfa, Corvette and Ferrari that I spot trying not to stall behind me. In some ways, it's incredible to think this is just an ancestor of the 3-series we’re and road testing now. The E30 still feels special and full of character – but will the G20 released this year look and feel as engaging in thirty-odd years time? We’ll find out, I guess.